The Civil War is raging and in a desperate effort to find more recruits, the Union begins a draft - a draft with a difference. The wealthy can pay $300 to be released from their obligation, but the poor must go and fight and die. In New York City, the recently arrived Irish are the hardest hit by the draft and during the long hot days of July the city explodes in a rash of arson, marches, attacks, and lynchings, with the immigrant Irish taking out their anger on the black inhabitants of the city. Fourteen-year-old Claire, the daughter of an Irish mother and a black father, has never had to choose between the two sides of the family - she has never had reason to consider her own identity. When she learns that a friend of hers is in danger, she decides to go to her aid, but by venturing out on the streets, she puts her own life at risk. 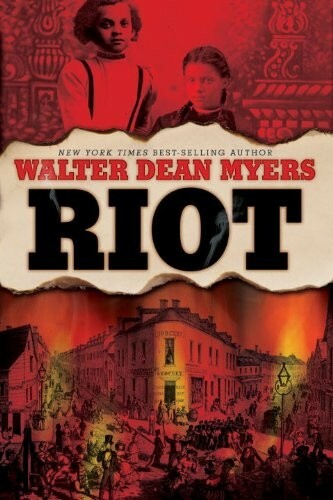 Myers's use of the screenplay format allows his readers a birds-eye view of the four hot days in July when New York City burned, using multiple points of view from both sides of the conflict. 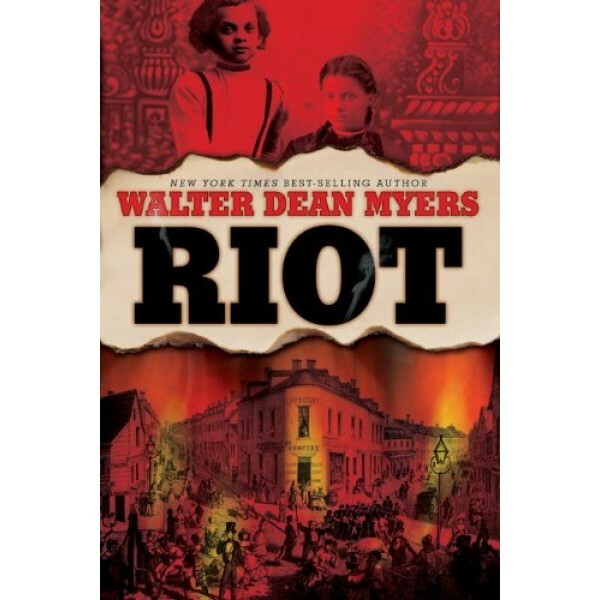 Walter Dean Myers is one of the best known writers of children's literature working today. His work has received numerous awards, including two Newbery Honors, five Coretta Scott King Awards, the Michael L. Printz Award, the Margaret A. Edwards Award, two Lee Bennett Hopkins Awards, the ALAN Award, and many others, including the 2008 Arbuthnot Award from the ALA. This year, he is the first time winner of the Coretta Scott King-Virginia Hamilton Award for Lifetime Achievement, which will be presented at ALA in Washington.